What’s up with Medi-Spas? 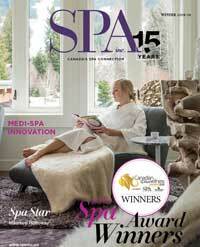 | Spa Inc.
What’s trending and new today in the medi-spa business? As a professional spa consultant, I get asked this question a lot. The answer is: lots! 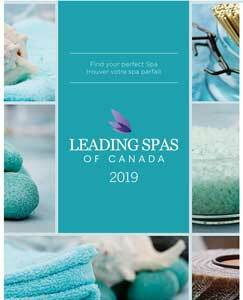 U.S. spa revenue hit a record US$17.5 billion in 2017, up 4.3 percent according to International Spa Association (ISPA). 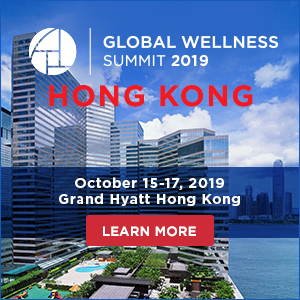 The medi-spa industry by itself generates US$4 billion annually in revenue and, according to AmSpa’s 2017 State of the Medical Spa Industry Report, will continue to grow at an eight percent average annual pace from 2017 to 2022. Interestingly, according to the 2017 American Society of Plastic Surgeons (ASPS), these numbers include a one percent drop in surgical procedures, especially among the 20- to 29-year-olds of the millennial cohort. My suggestion is, why not ignite innovation in the millennials’ engagement, customer journey and spa experience? After all, they’ve surpassed baby boomers in numbers, and have enormous potential for making the medical spa future bright as they enter prime income-earning years. 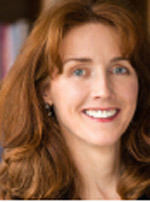 They tend to be curious about clinical treatments targeting older customers and cautious about ordering them, and they appreciate the non-clinical environment. Feeling social pressure, fear of aging and a desire for prevention, they currently make up some 20 percent of medi-spa patients in the U.S., and probably a similar number in Canada. Smart marketing can easily lift that number. Here’s just one example of what clever innovation in the customer journey can achieve. Alchemy 43 in Los Angeles offers focused micro medical spa treatments in a beautiful, non-clinical environment – and without compromising on professionalism. A trendy, one-year-young “dry bar” (aesthetics clinic specializing in cosmetic micro-treatments), it features a completely customer-focused website-to-front-counter experience including pink furniture, white marble countertops, free snacks and four upscale locations. Botox and other dermatological treatments are aimed squarely at the millennial, with the goal of making needles as commonplace as mascara wands. In Canada (bearing in mind that legal regulations differ from those in the U.S.), there is a fantastic opportunity to take the experience one step further by deepening the bond of the relationship with each client – promoting sales by customer evangelization of the experience, as is already happening with Alchemy 43 medi-spas, where millennials are bringing in their parents. Alchemy 43’s innovations may be one of the trends pushing the injectables market to an expected US$5.8 billion by the end of 2024. The trend is, essentially, clinical treatments being delivered in a non-clinical environment. And while taking cosmetic procedures out of doctors’ offices is nothing new, according to the ASPS, the use of Botox alone has increased more than 800 percent since 2002. 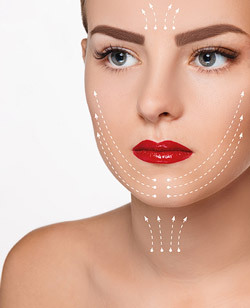 ASPS statistics also reveal that minimally invasive cosmetic procedures have nearly doubled since 2000, thanks to new and changing methods for reshaping faces and bodies. 1. Using PRP (platelet-rich plasma) to stimulate hair regrowth in both male and female pattern hair loss: You may know PRP as the part of the blood that helps your body recover from injuries. Now it’s being used to stimulate the growth of hair follicles. These quick and affordable injections take just a few minutes, can be done on your lunch break, and don’t require any downtime. 2. Using PRF (platelet-rich fibrin) to rejuvenate the skin: PRF treatments are already being deployed by dentists for implants and bone healing. Although still being investigated by the FDA for cosmetic use, PRF treatments could become a valuable tool for plastic surgeons and dermatologists, as well. By releasing growth factors from tiny “granules,” fibrin aids the wound-healing process by creating new skin cells, collagen and blood vessels, making it ideal for filling in facial folds, helping fat cells survive and promoting healing after a facelift. By releasing growth factors over time (and unlike PRP), PRF could have longer-term benefits by stimulating the stem cells that improve collagen and elastin in the skin. 3. MFR (microneedling fractional radiofrequency): Microneedling has been used for many years in skin rejuvenation by initiating a repair process that stimulates fibroblasts for new collagen production in skin affected by acne, alopecia, stretch marks and wrinkling. 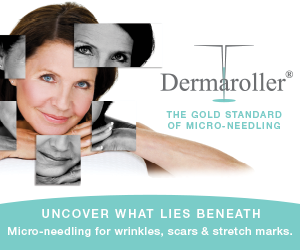 An evolutionary version of it known as microneedling fractional radiofrequency (MFR) is one of the most promising new technologies for aesthetic treatments. The combination of microneedles incorporating heated silicone-coated tips and radiofrequency is proving effective for treating acne and acne scars, as well as fine lines and wrinkles, both on and off the face. 4. Plasma ions: Several new devices for non-surgical blepharoplasty (baggy eyelid correction) are now treating forehead wrinkles, nasal-labial folds, marionette lines and even skin tags. 5. Thread lift: An alternative to a surgical facelift for sagging skin around the face, neck, jawline, arms, knees and buttocks, the thread lift – made famous by actress Gwyneth Paltrow – no longer requires anaesthesia, takes only 15-30 minutes and boasts a fast recovery time. Roughly six to nine months after the procedure, the sutures are absorbed through simple hydrolysis, and the results typically last up to two years. Of course, medi-spa innovations aren’t all in the area of treatments. From a marketing perspective, today’s consumers are demanding an engaged and very personalized interaction with their medi-spa. The pathway they’re seeking educates them and delivers results in an innovative, minimally invasive, safe and beautiful facility – by engaged, educated staff who have a genuine interest in their customer.